Ministry of Railways has partnered with Google to bring the history of Indian railways on Google Arts & Culture through a new online project called “The Railways - Lifeline of a Nation”. It was announced at an event in the National Rail Museum, New Delhi. 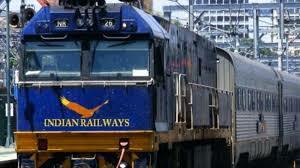 historic journey of Indian Railways online at g.co/IndianRailways. It will showcase Indian Railways’ architectural marvels and its charismatic personalities to highlight the deep-rooted connection of railways with the country. In addition, Indian Railways and Google will bring the exhibits to 22 stations in India, including New Delhi, Bengaluru, Coimbatore, Guwahati, Howrah, Secunderabad and Varanasi. With over more than 100 online exhibitions, 150+ videos and 3500+ images, the online collaborative project will offer an in-depth exploration of sights, sounds and significance of India’s railways. It is noteworthy to state here that with over 1,51,000 kilometers of track, 7,000 stations, 1.3 million employees and 160 years of history, Indian Railways is one of the most largest railway networks in the world. Also, the project will highlight lesser known stories and heroic efforts of people like station incharges, workshop engineers.